My name is Rachael and I’m getting in touch on behalf of my theatre company PearShaped with a ticket offer for our show Conquest, which is transferring to The Bunker later this month. I am School of Arts alumni (I graduated in 2013), studied Drama and Theatre Studies, and am now producing with PearShaped, We are an emerging theatre company who make female-led theatre and twist conventional forms of storytelling. Described as Fight Club meets Calendar Girls, Conquest is a funny and honest exploration of sexual consent and the minefield of today’s feminism. And involves a lot of cupcakes. The Alumni Pub Nights series is Kent’s social and networking series for alumni and students. The next Pub Night will be on Tuesday 27 March with the theme of career advice and mentoring. We’d love you to see you there to catch up on news from Kent and socialise with current students and fellow alumni. The University of Kent’s Careers and Employability Service will be joining us to talk about what help they can give students, staff and alumni and how the mentoring platform, KEW-NET, could be of use to you. Alumni should come along to find out how you can help a Kent student progress in their career by mentoring, talking on campus, taking part in Kent’s Employability Festival or taking on a student for work experience. This is also a great opportunity for 1st or 2nd year students to come along to find out upcoming graduate careers fairs and work experience opportunities. We will be at the Miller’s Arms in Canterbury on Tuesday 27 March from 18.00 – 20.00. Please still come along even if you don’t need careers advice to meet with current students and fellow alumni! First drink and nibbles provided. Please register here. The next Pub Night will be on Tuesday 30 January with the theme of business start-up. This will be a great opportunity to network with fellow alumni and current Kent students and catch up on news from Kent. The Kent Hub for Innovation and Enterprise will be joining us to talk about how you can start your own business and what help the University can give students, staff and alumni. Come along to find out about business start-up workshops, online modules, mentors and workspace facilities that may help you get your business going. You’ll also get the chance to hear from and speak to Kent graduate, David Browne, who started his own business with help from the University so it will be great for those who are not sure where to start or those just starting. David founded Convert Energy, a renewable energy design and project management company based in Canterbury, with his business partner Ben Glancy. We will be at the Miller’s Arms in Canterbury on Tuesday 30 January from 18.00 – 20.00. Please still come along even if you aren’t thinking of starting your own business to meet with current students and fellow alumni! Register here to get your first drink free. “It was a full-on, completely practical, full of knowledge week.” – Workshop participant, 2017 London International Mime Festival. To have an idea; to hesitate and stop; to question; to decide; to stop again and doubt; to check… The actor on stage lives through all these different ways of thinking second by second. The challenge is to allow all these inner impulses and ideas to flow into expression and become visible to the audience. 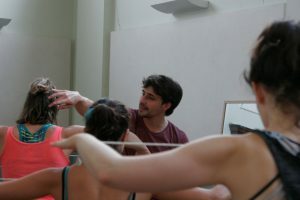 In this week-long workshop designed for professional and semi-professional performers, participants will immerse in Theatre Re’s vital approach to Etienne Decroux’s Corporeal Mime and explore how to give physical shape and theatrical rhythm to these impulses. Guillaume Pigé is an actor, director, mime and magician. He formed Theatre Re in 2009 and has been directing and performing in all the company’s productions to date. He is also an Associate Teacher at R.A.D.A and is regularly invited to give workshops in the UK and internationally. There are limited places on the workshop so we recommend booking as soon as you are able to. Alumni Pub Nights, the new social and networking series for Kent alumni and students, will take place in local pubs in Canterbury or London on the last Tuesday on the month every two months and we would love you to join us! The events aim to bring together alumni, students and staff from a range of disciplines with each night themed to different subjects surrounding workplace skills, networks and employability opportunities. Events could include speakers, or they may be geared to people interested in a particular sector or skillset, but all events will be a great opportunity for you to meet up with local alumni to network and think about your future. 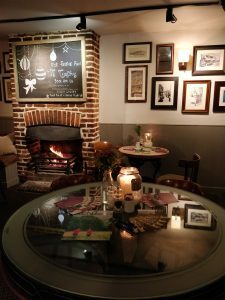 The next event will be at the Miller’s Arms in Canterbury on 28 November from 18.00 – 20.00. Meet TeachFirst’s Graduate Recruitment Officer and former teacher, Ross Cooper, who will lead a short, interactive discussion on working in education and teaching. This is a great chance for budding teachers to meet up to find out more about the profession and meet others who are interested in education. However, all are welcome to come along and catch up with Kent graduates. Please click here to register and join the event on Facebook for relevant updates. First drink free! If you have any questions regarding this event please email alumni@kent.ac.uk.